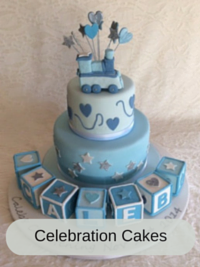 Sweetfayz Designer Cakes is a local Perth business situated in the southern suburbs, specialising in custom cakes for all your special occasions. With 25 years’ experience and a number of awards to her name, owner and lead designer Stephanie can create a very special custom cake that will wow your guests. Because we only use fresh ingredients and make all of our creations from scratch, you can be assured that our creations will always taste as good as they look. Exquisite wedding, romantic engagement and anniversary creations, cute and funky birthday cakes, through to themed individual cupcakes for kids and adults are our passion. We have a wide range of flavours and frosting options to suit all preferences. For the more traditional cake-lovers, we can make deliciously rich dark mud cakes that are ideal for tiers and sculpted individual cakes. Or for those who like something a little bit different, our carrot or rich fruitcake is perfect for tier or individual cakes that will tantalise your guests. There’s also a frosting option to perfectly suit every cake, including salted caramel ganache, white chocolate and lemon, or cream cheese frosting. We’ll happily advise you on which combinations we think work best, and which flavour is best-suited to your cake type. Here at Sweetfayz Cake Design we pride ourselves on making you a personalised and one off designer cake for your special occasion. This kind of individual service takes time and planning so if you are looking for a special cake to mark an important occasion, consider allowing at least a week for us to make it happen. We take bookings quite a long way in advance and can only accommodate a specific number of orders so please give us as much time as possible. 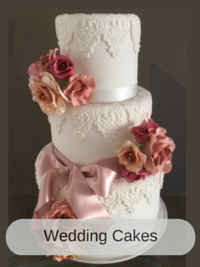 If you have left your planning till the last minute and need a cake desperately, please see our Emergency Cake page where we have a standard size, flavour and design option. This option can be ready with 48 hours notice with a customised name and greeting service. 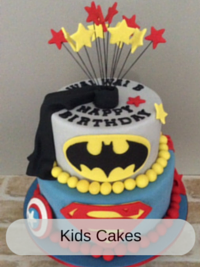 This service incurs a surcharge but you will receive a home-made super fresh cake just in time for your party. If you’re looking for decorating classes or workshops, look no further. 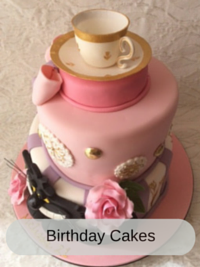 At Sweetfayz Cake Design, we love to pass on our passion and knowledge. Workshops are run seasonally and private tuition can be arranged for individuals or small groups in our South Perth studio. We’ll teach you how to decorate individual cakes that will impress your family and friends. Sweetfayz’s custom creations are the perfect way to surprise your loved one and guests at a special occasion, or even for formal and corporate events. We love hearing your ideas and translating them into delectable cakes that are sure to delight a crowd. To make sure we can make your dessert in time for your next event, please contact us to make an appointment with us at our South of Perth studio. Call us today on 0421 515 350, or email us at info@sweetfayz.com.au. Alternatively, you can submit an online enquiry. Just fill in the form outlining the date of your function, number of guests you will be feeding, your desired flavour and portion size, and we’ll get back to you as soon as we can. We look forward to hearing from you soon.